Find the perfect AC Power Source to go with your application. Our AC Power Sources cover a wide variety of industries and standards, this tool will help direct you to the best fit. Our line of AC Power Sources enable people in laboratory and production settings to generate worldwide voltages and frequencies for their products. Our AC Power Sources have a lot of functionality and go by other names, such as Frequency Converters, Variable Transformers, or Variacs. 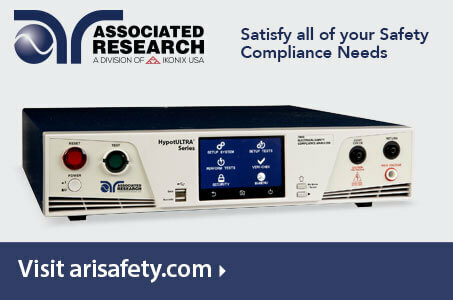 APT AC Power Supplies will enable you to convert 120 Volts 60 Hertz to 220 Volts 50 Hertz. Convert three‑phase power to single‑phase power and vise versa. Provide frequency conversion up to 1,000 Hertz and create brownout and transient voltage conditions with our Frequency converters. Looking for an Electrical Safety Tester?